Look beyond pricey fine dining restaurants to get to the really delicious, and more affordable, goodies made by locals in western Massachusetts. One of the things I love most about living in Boston is how centrally located it is. All it takes is a two-hour ride north, south or west to end up on a scenic byway or in a city with a totally different vibe. Of course, the best part about it is discovering so many tasty new treats! When I’m itching to take a road trip, I like to head west to the Berkshires where I can visit charming towns nestled amid rolling hills, travel twisty-turny country roads dotted with farm stands full of local produce, and sample some truly unique locally-made goods. Yes, many of the restaurants in the Berkshires are over-priced, underwhelming and, frankly, not worth the trip. But there are still a few places where you can get an incredible meal for a reasonable price, as well as specialty stores that boast hand-crafted fare that's so appealing you’ll start inventing excuses to travel out there more often. While by no means a comprehensive list, these are some of the best eats in the Berkshires that you won’t want to miss. So, go west, friends — and dig in! My favorite breakfast item in the Berkshires used to be the delectably crispy fried chicken and waffles at Spoon in Lenox. Unfortunately, they no longer serve waffles there, and when it’s busy, the service tends to be short-tempered and disorganized. 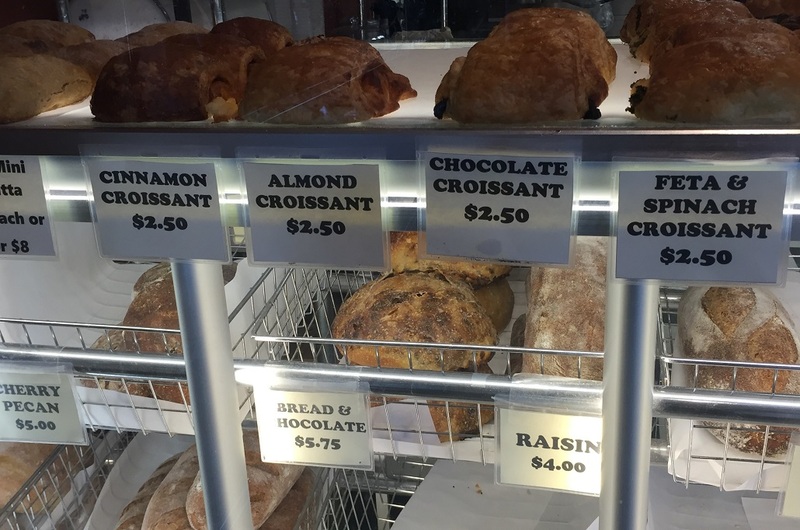 Save yourself the disappointment and head a couple of blocks over to Haven Bakery and Café, instead. This seat-yourself establishment features a large menu, including specialty coffee drinks and cocktails, a more casual vibe, and staff that is both accommodating and friendly. 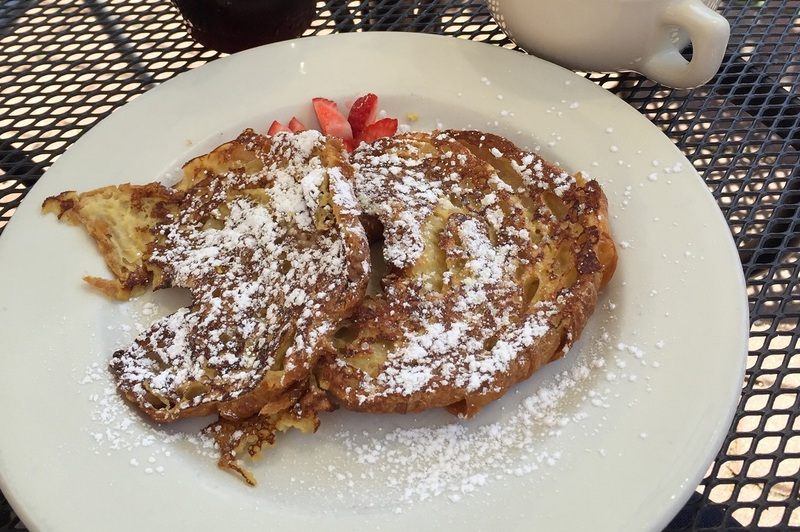 You can choose from a number of homemade baked goods, benedicts, omelets, salads and sandwiches, but I recommend the croissant french toast. They split the buttery, flaky pastry in half, dip it in egg batter subtly spiced with vanilla and cinnamon, and cook it so the outside is lightly crispy and the inside practically melts in your mouth. Served dusted with powdered sugar and a side of real maple syrup, you’ll savor every bite. 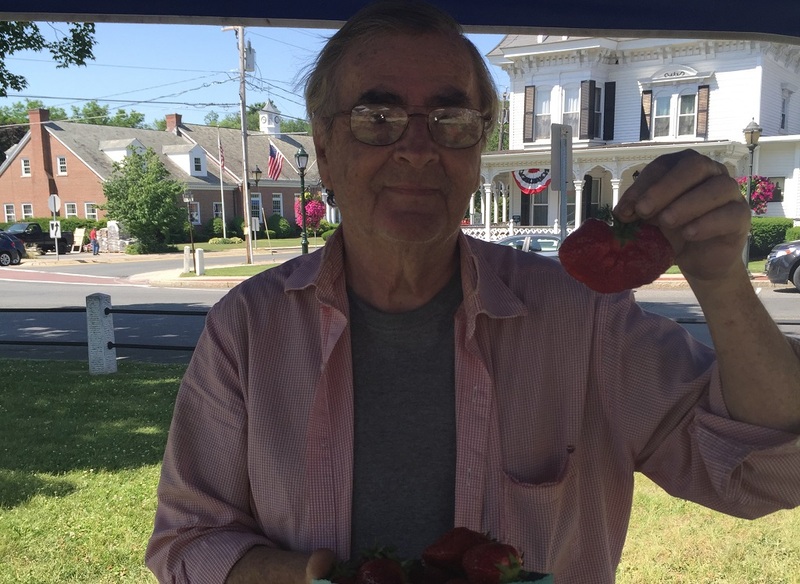 While passing through the town of Lee, I was lucky enough to stumble upon the small farmers'market there. In addition to luscious produce and gorgeous flowers, Jaeschke’s Farm makes mind-blowingly good homemade jam using just a few ingredients. Don’t let the simple packaging fool you; these jams are packed with flavor. My favorite is the strawberry rhubarb orange zest, a ruby-colored fruit spread that has a delightfully sweet-tart zing. Slather it on toast, pour it over yogurt or eat it straight out of the jelly jar! Jaeschke’s jams are like tasting the fruits of summer concentrated down into one juicy bite. If you’re like me, the word charcuterie always makes your ears perk up. The best place in the Berkshires to go for cured meats and cheeses expertly layered with just the right accompaniments is Bizalion’s Fine Food in Great Barrington. Their extraordinary sandwich offerings are thoughtfully made with top-notch ingredients. 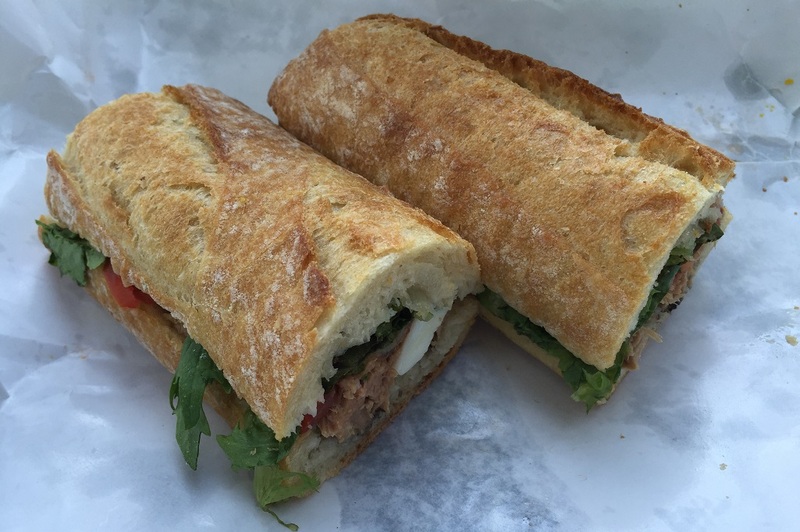 My go-to is the pan bagna, a symphony of salty and savory satisfaction that includes tuna, anchovy, hard-boiled egg, tomato, tapenade and salad greens, served on chewy sliced baguette. 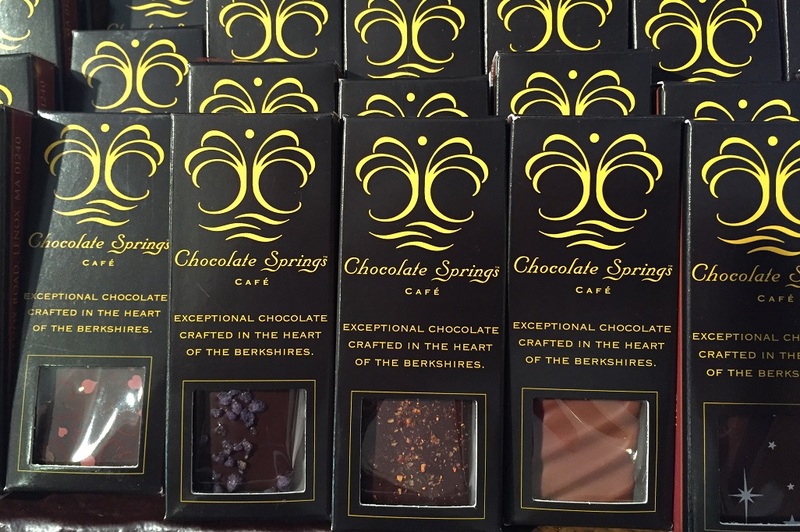 One word describes the experience of tasting the confections created at Chocolate Springs Café in Lenox Commons: intense. Each beautifully crafted piece of chocolate is a world of sweet wonderment all unto itself. Flavors are bold, yet balanced, and come in combinations like milk and dark chocolate Lavender Honey, Hazelnut Praline and Berkshire Bourbon. If you’re looking for inventive options to satisfy your sweet tooth in addition to the classics, you’ll find them here; Sweet Fire delivers a chili-tinged dark chocolate ganache, while floral notes soar in the jasmine tea blossom-infused Jas-Tea-Sia. 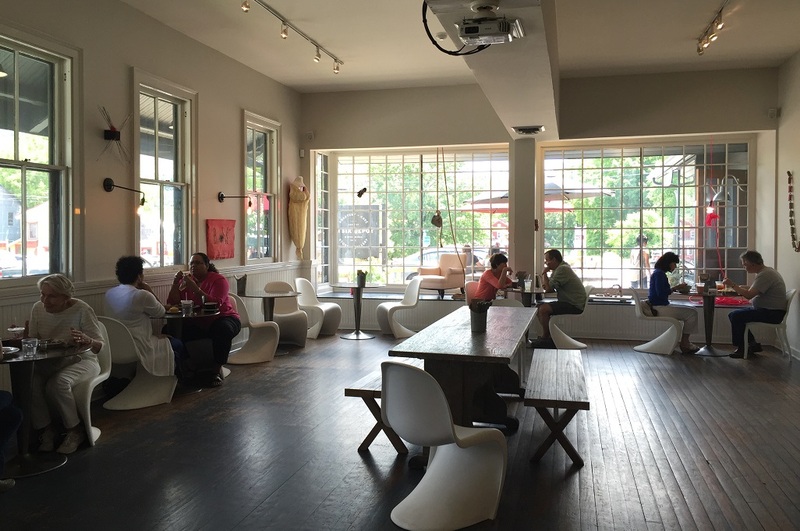 The shop features a small seating area in which patrons can linger over dishes of creamy gelato in the summer and cups of rich hot chocolate in the winter. The hardest part will be deciding which delectable handmade bon-bon to try first. Instead of grabbing a pie at any old pizza place in western Massachusetts, it’s worth stopping by Berkshire Mountain Bakery for their home-style offerings. Choose from ten different pizza combos (or make your own) to eat in or take home to bake in minutes, including Buffalo Chicken, Summer Grill and Pesto Fiesta. If you’re in a rush, you can also grab a frozen pizza that cooks in less than 15 minutes. The ingredients are fresh and the crust is a perfect combination of flavorful, light, chewy and crispy. Don’t let the prevalence of tattooed staff scare you — the hipster vibe is just part of the charm at Six Depot Roastery & Café in West Stockbridge. Indeed, coffee is an art form at this airy, modern eatery. There’s a gallery space equipped with tables where you can gaze at artwork on the walls while you munch on well-crafted salads and panini. The refreshing chicken mechado sandwich features pulled chicken, mint-cilantro yogurt and fruity salsa, and is served with a small side salad. On a hot summer day, the shakerato is small but satisfying, a creamy-cool beverage that lets the house-roasted coffee shine in all its chocolatey glory. Follow Amanda on Twitter @amandabalagur.